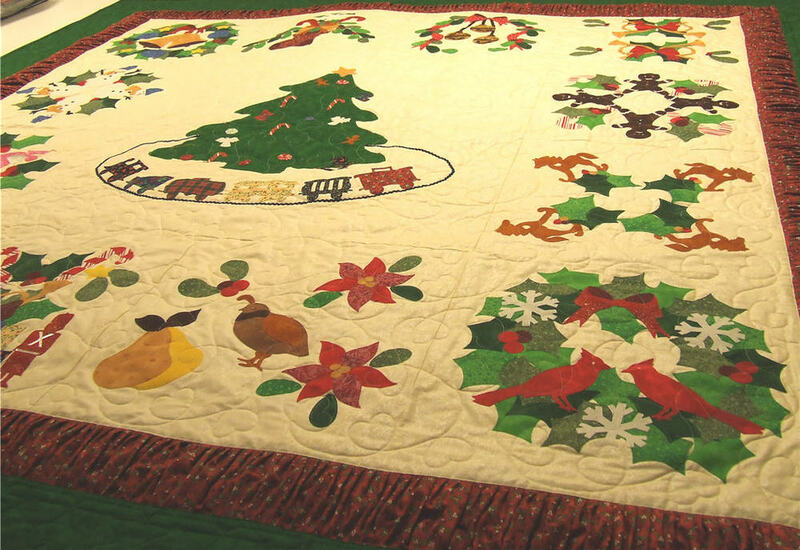 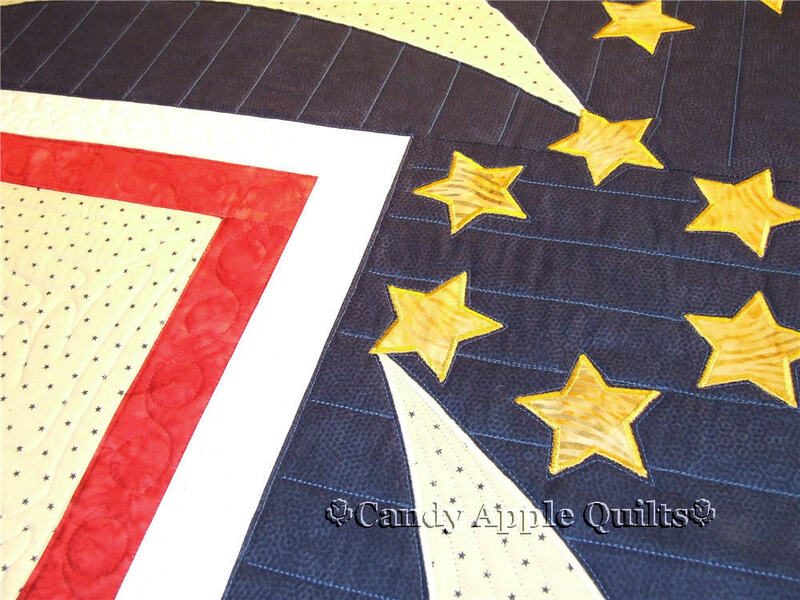 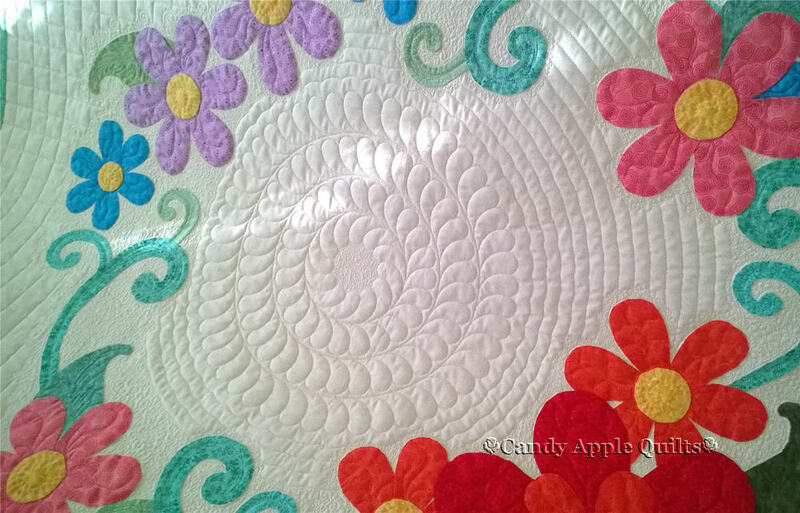 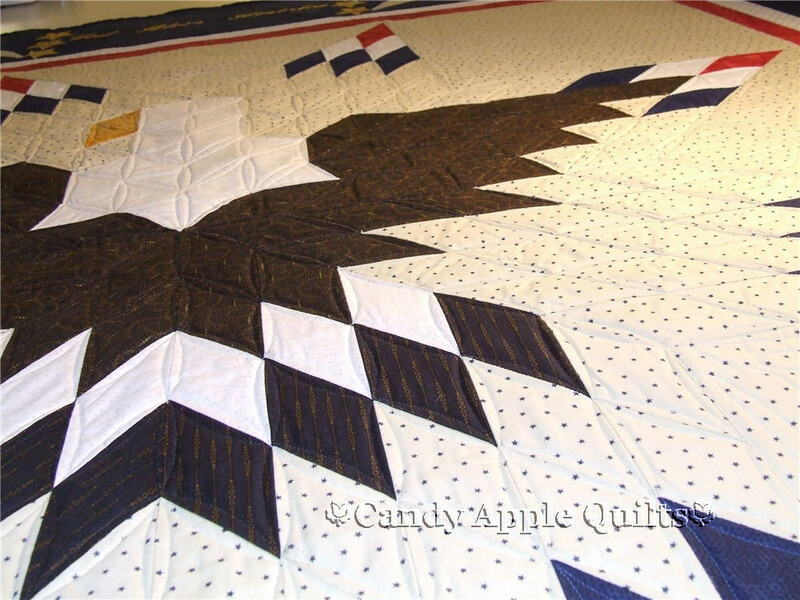 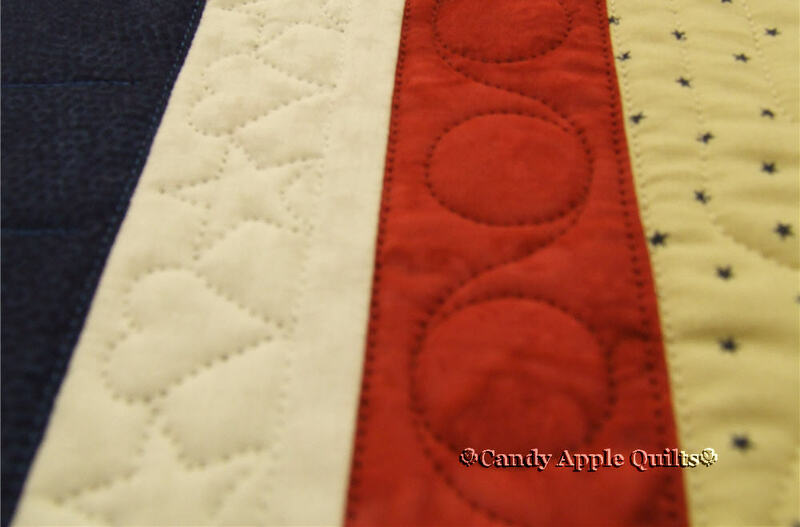 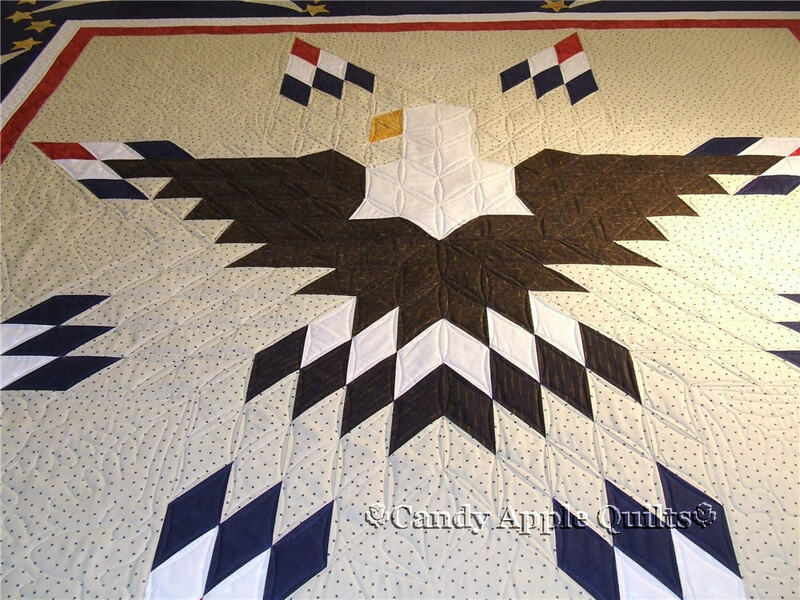 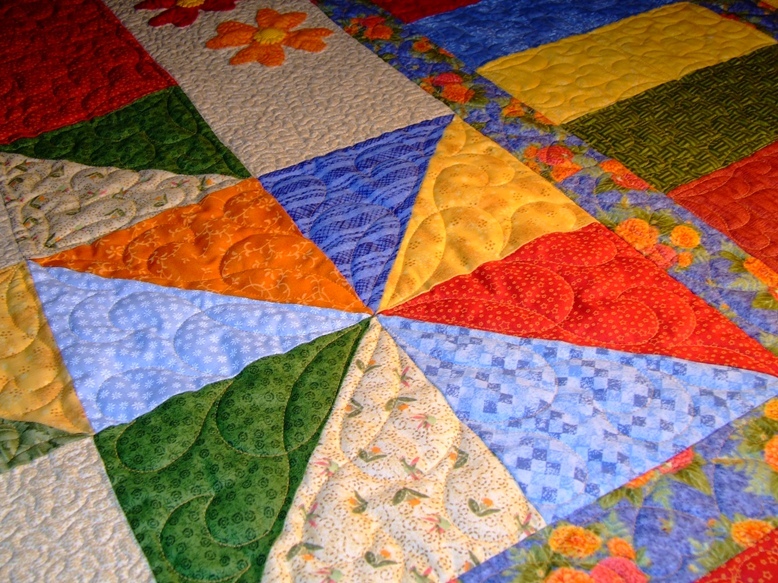 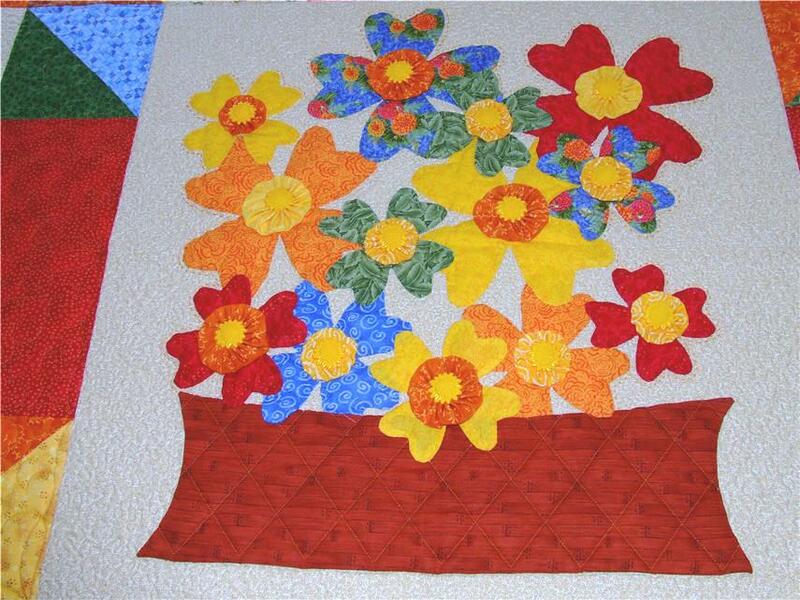 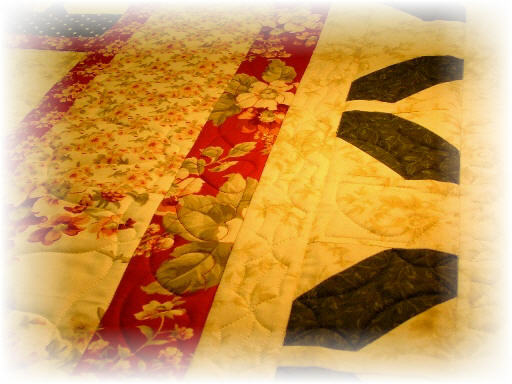 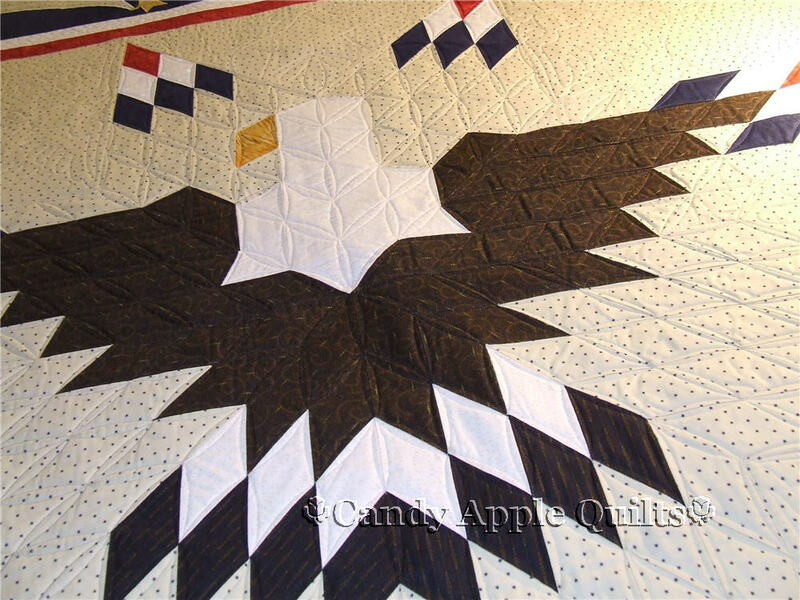 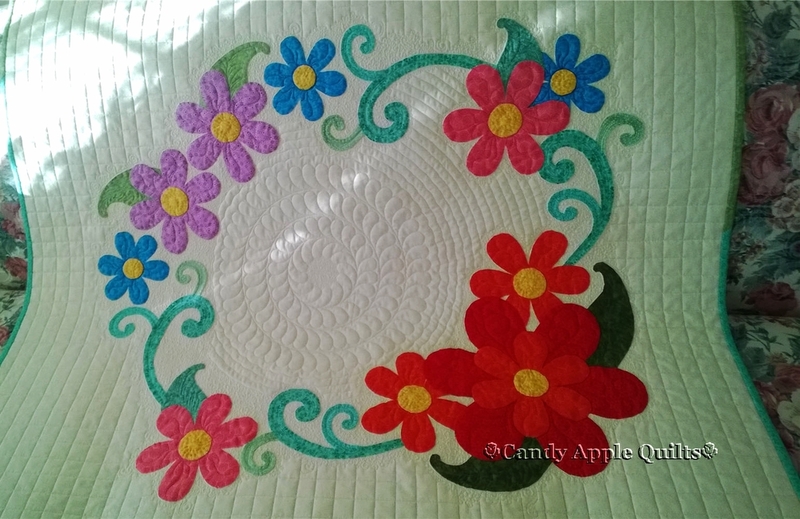 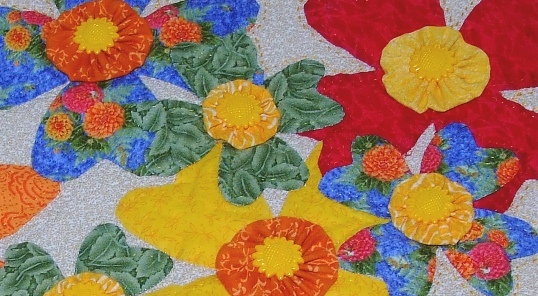 Recently, I was lucky enough to meet Carolyn Burgess, the owner of Applique, Quilts, and More. 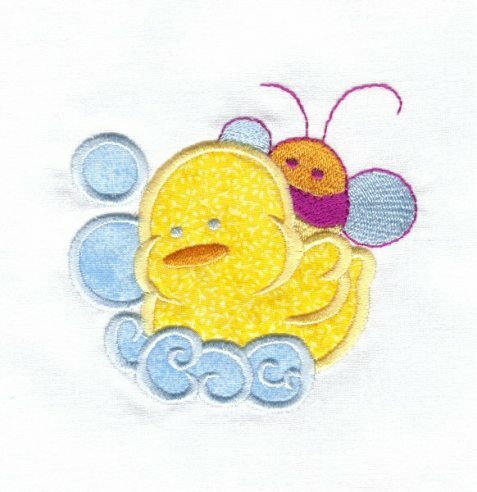 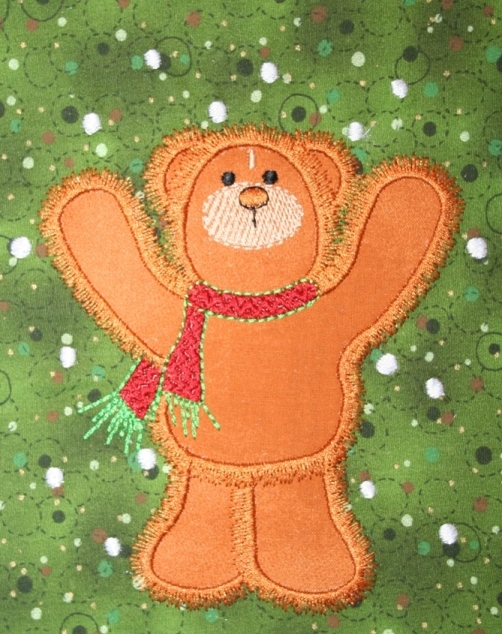 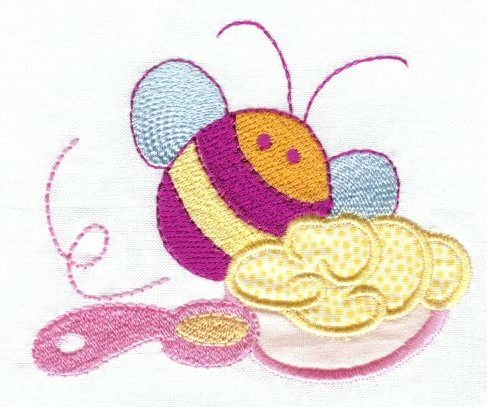 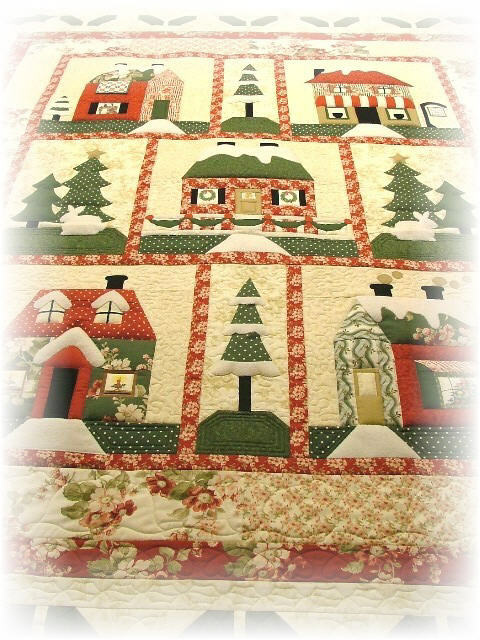 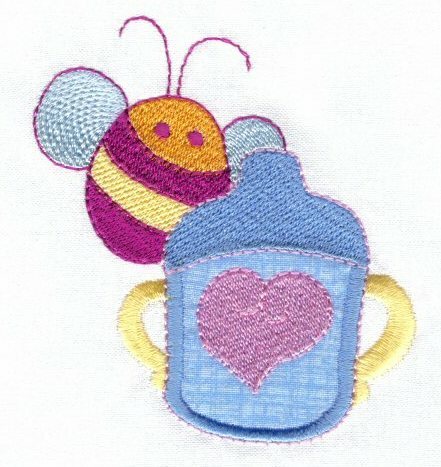 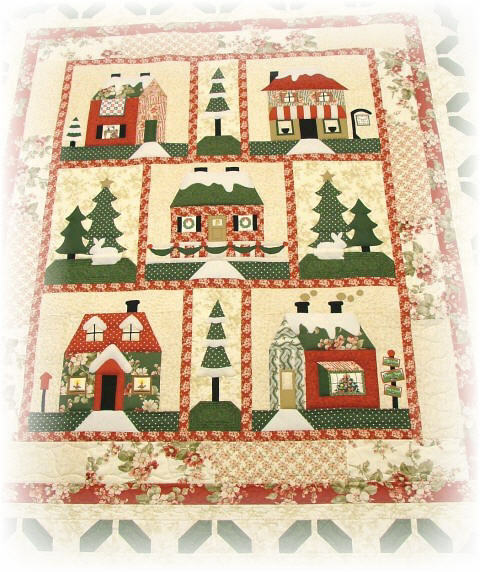 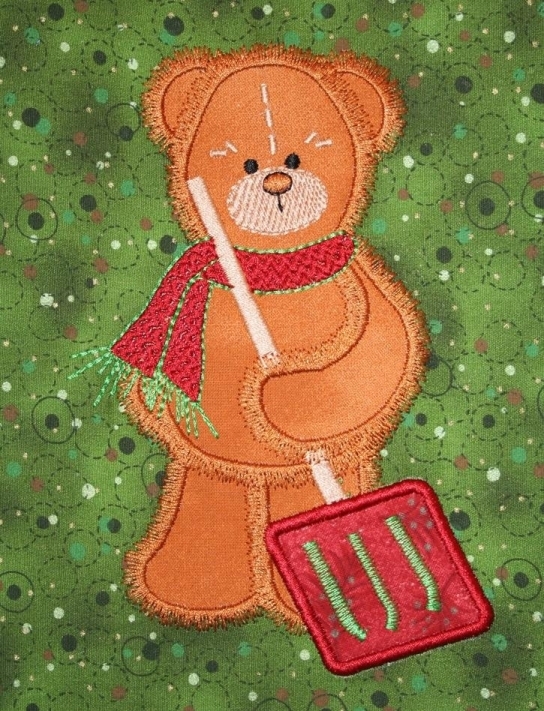 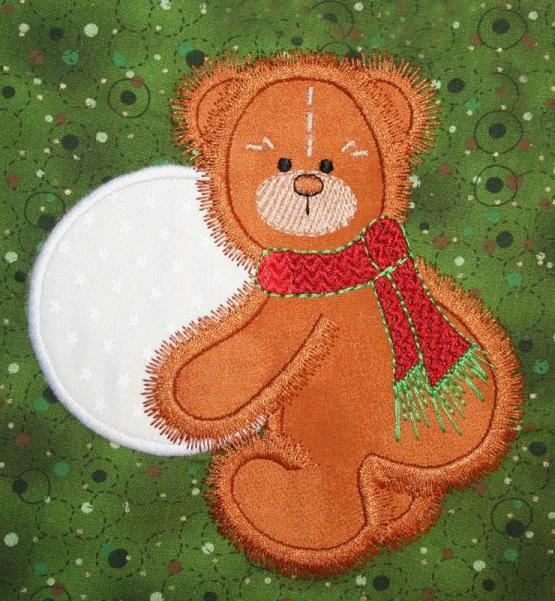 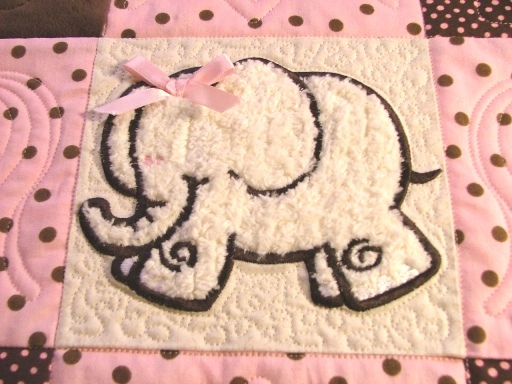 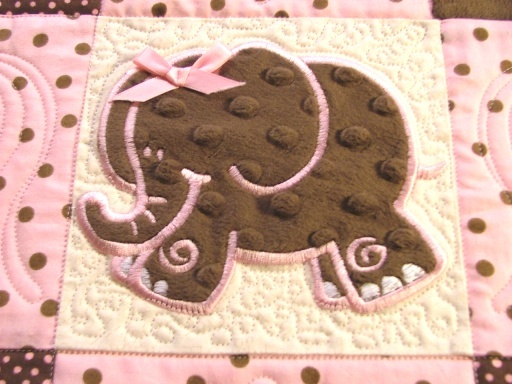 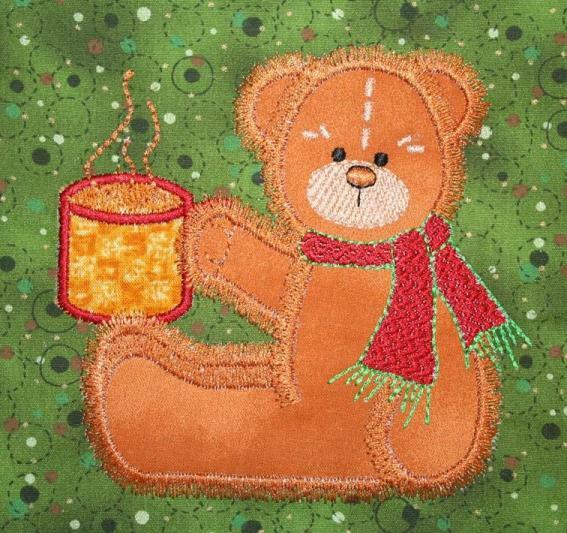 She has the most wonderful applique kits, and they are all available with or without fusible on the back. 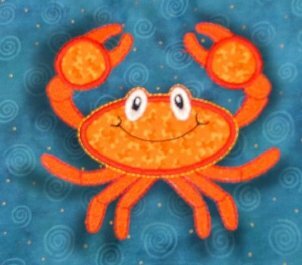 I think that's a great idea, because sometimes I like to do needle-turn applique, and I prefer not to have any fusible on my pieces. 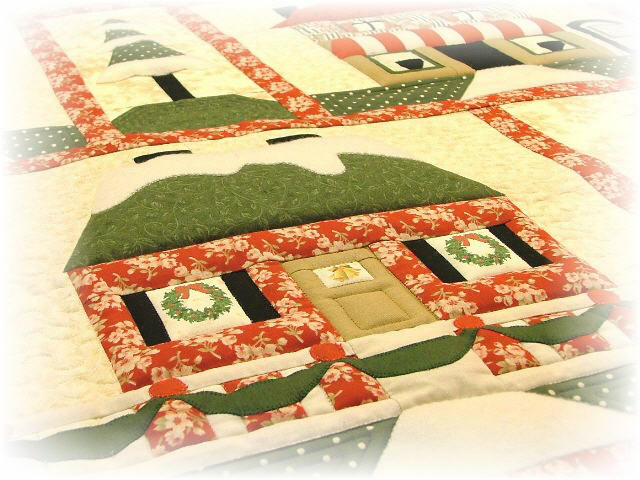 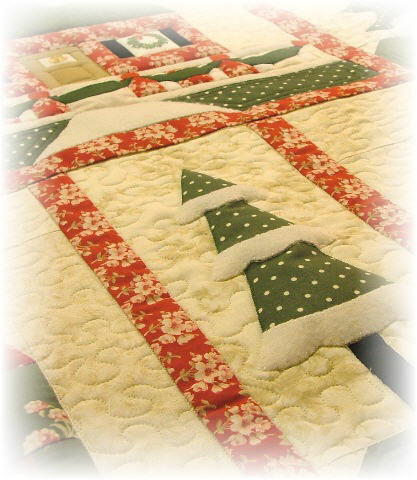 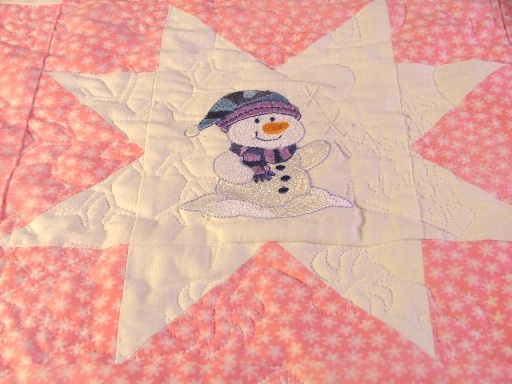 She has lots of themes to choose from, and her Christmas blocks are my very favorite! 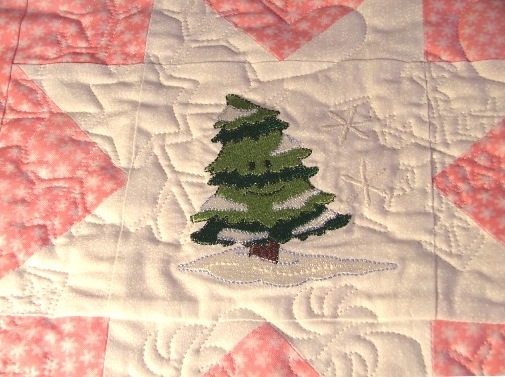 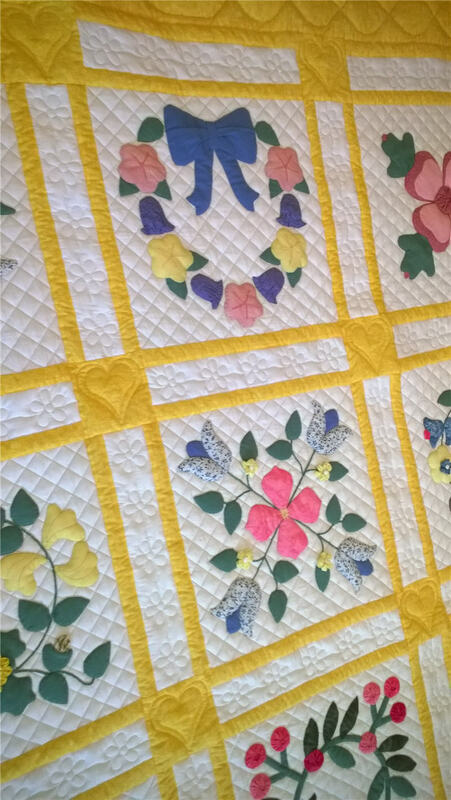 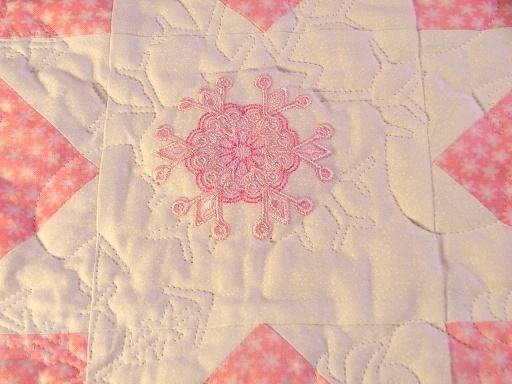 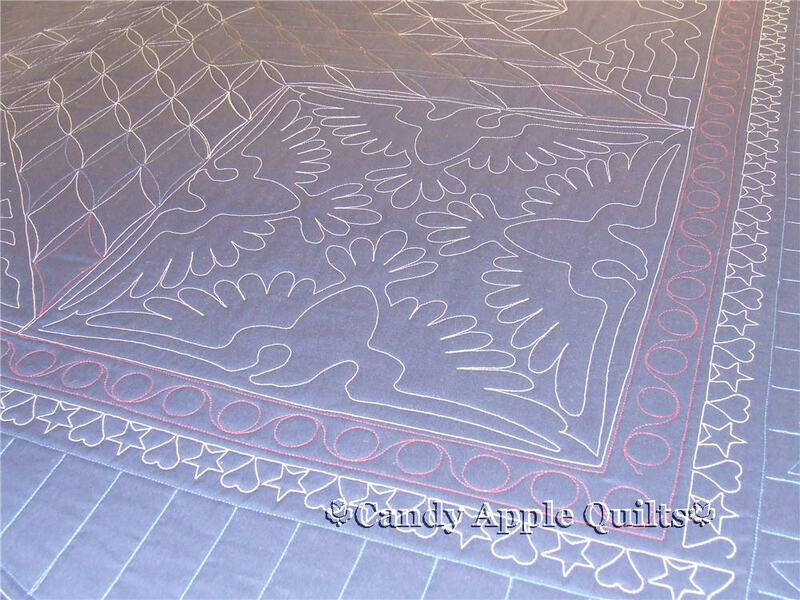 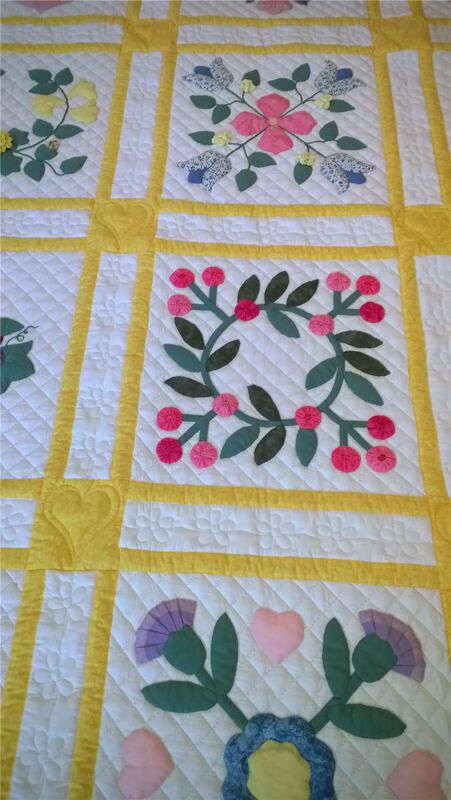 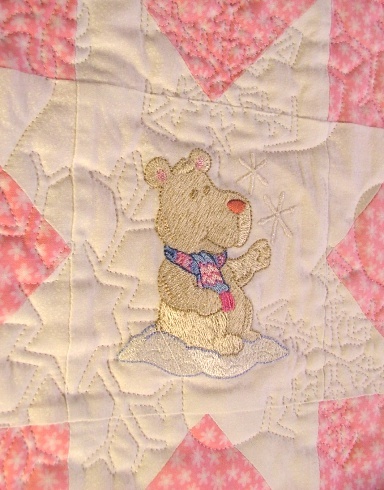 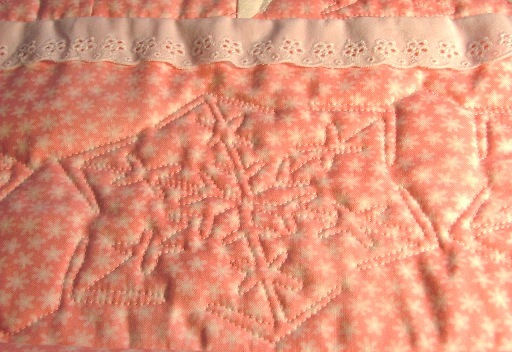 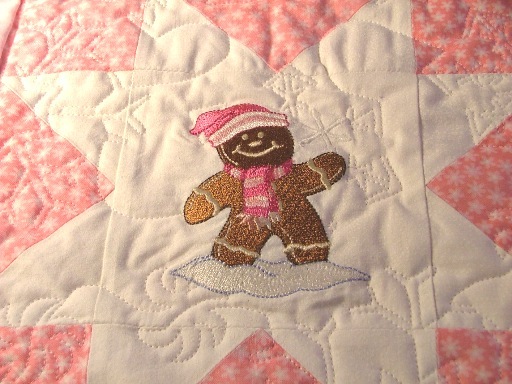 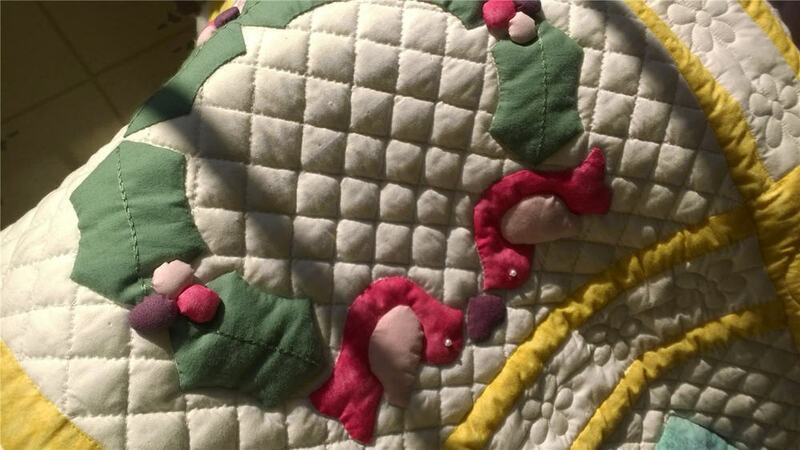 Carolyn brought her quilt over, and we decided on an overall motif --- quilting right through her appliques. 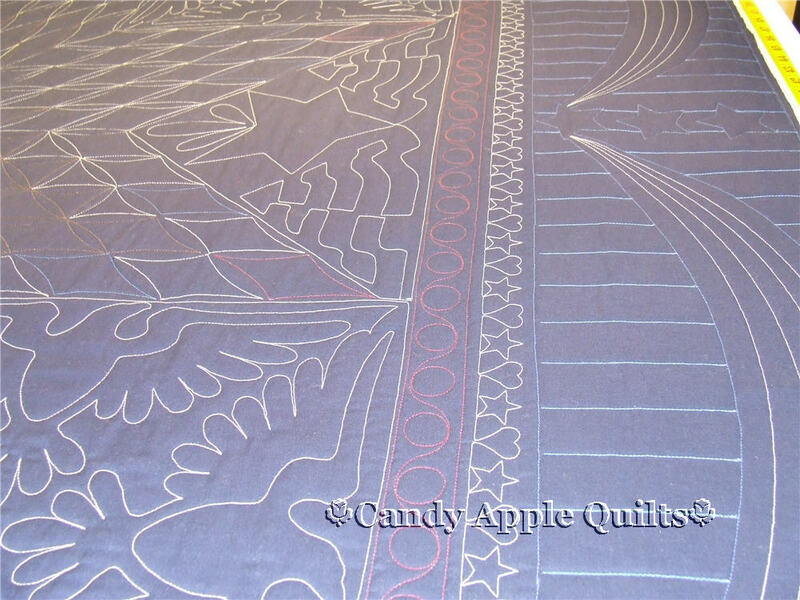 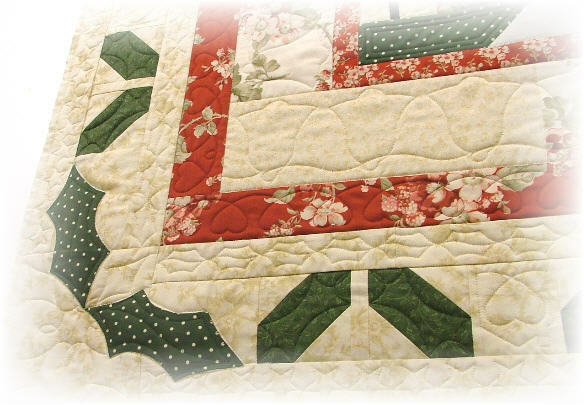 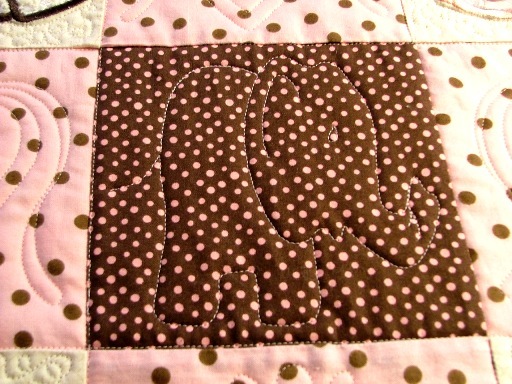 There are lots of opinions on this because some people think that you can never do that with a fused applique because there is too much stiffness. 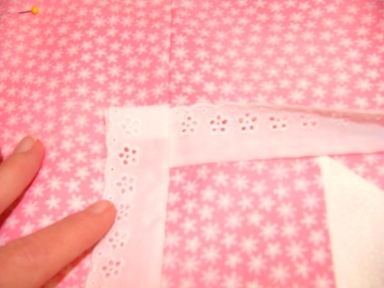 These appliqued pieces were soft and had a very nice drape, so there was no problem at all stitching right through them. 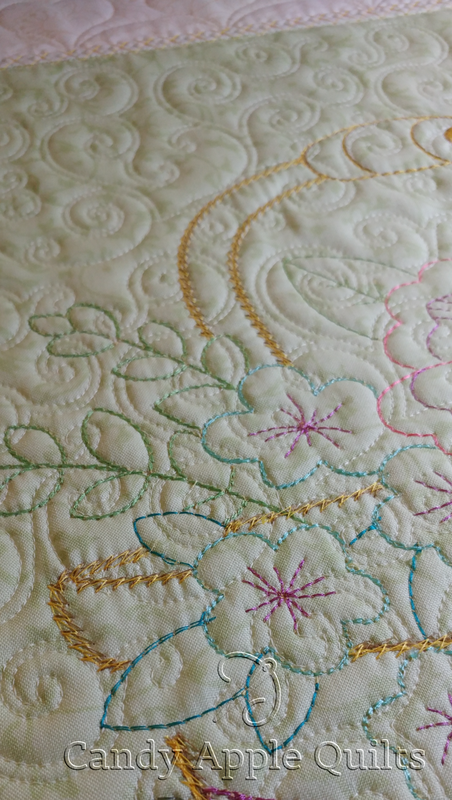 Another fun thing about Carolyn's approach to this quilt is that you can order individual blocks and make as many projects as you can imagine just using your favorites! 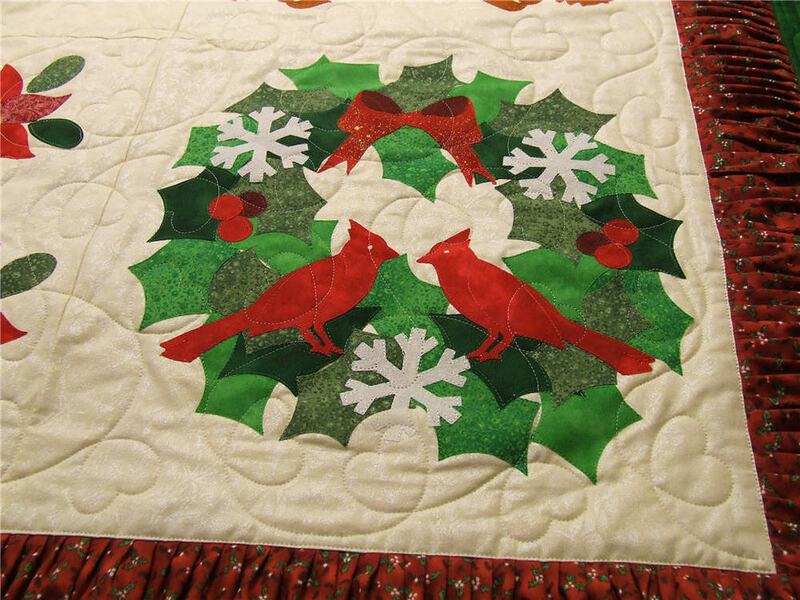 For instance, I love the cardinals that are featured in the Applique Christmas Block of the Month section, and I would like to do a few of them as gifts. 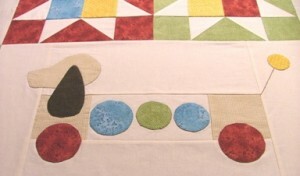 I can buy as many of those sections as I want, without having to buy an entire kit! 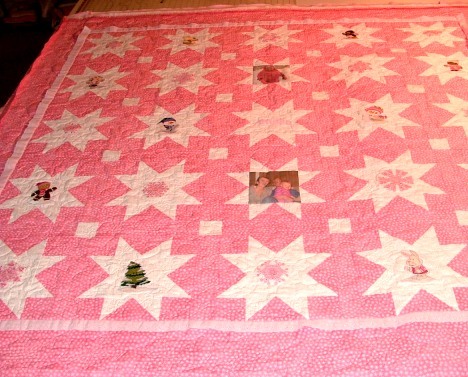 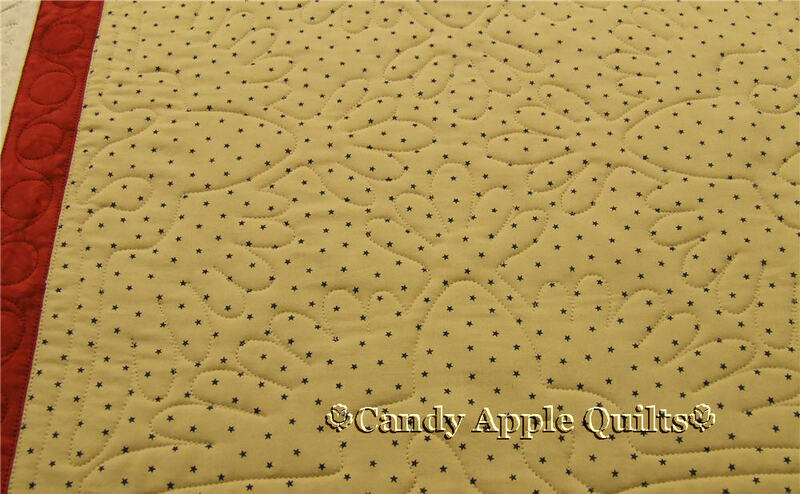 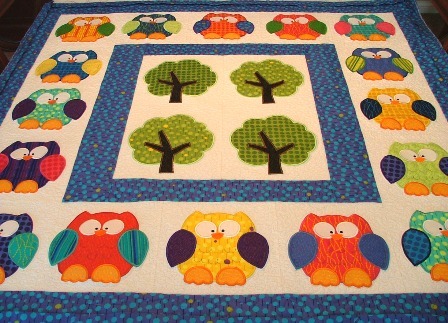 And better yet, I can send a favorite fabric of mine to Carolyn, and she will cut my pieces out of my fabric for me! 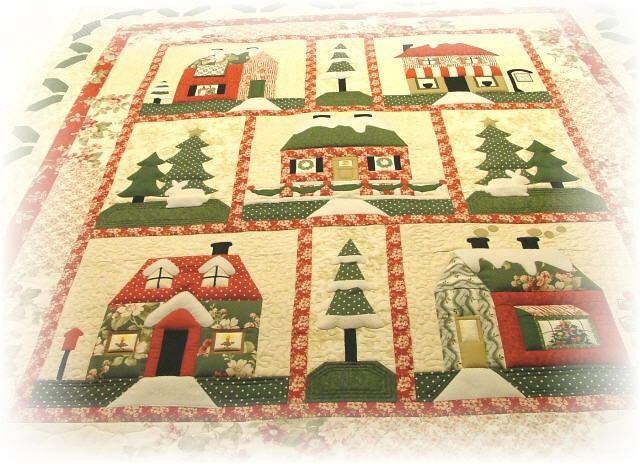 She really has a great selection of pieces, and I can see lots of future inspiration coming from her pre-cut applique pieces and kits. 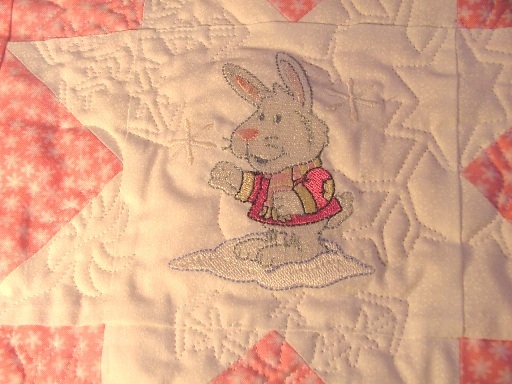 She has just saved a lot of time for me!